Screen view of a video by artist Yayoi Kusama in Hirshhorn Eye. Hi provides an intimate and seamless experience designed for anyone who enters the museum. To get started, visitor’s simply enter hi.si.edu in their phone’s browser. 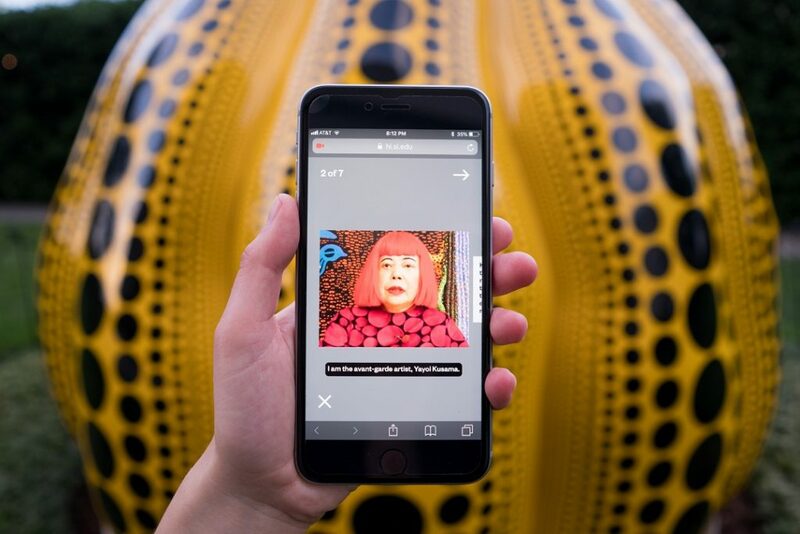 As they move through the galleries, Hi’s sophisticated image recognition will scan the works of art in front of them—from Mark Bradford’s “Pickett’s Charge” to Yayoi Kusama’s “Pumpkin”—and instantly unlock dozens of unique artist interviews and insights. 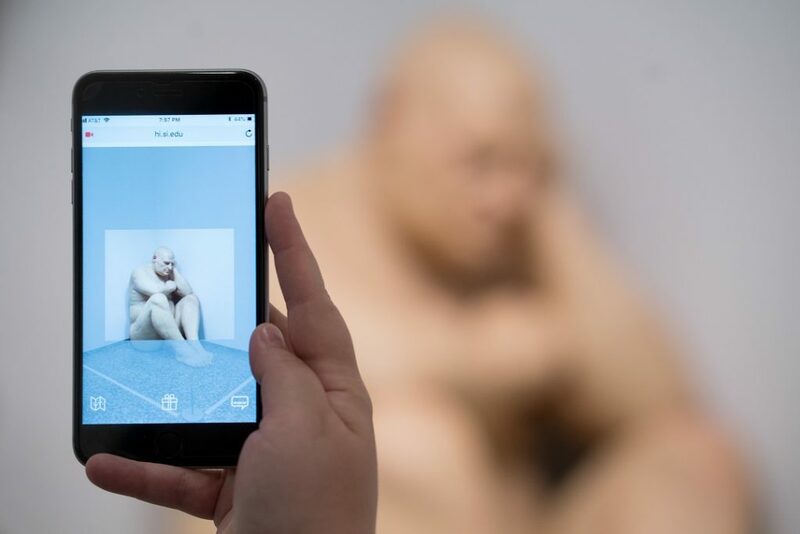 The mobile experience features a web-based platform and sophisticated image recognition that goes beyond the technology of previous museum mobile guides. Each artwork in the Hirshhorn Eye includes a bespoke variety of content, displayed on cards in a carousel.